Expat Lifestyle Choices series is a collection of articles that highlights the pros and cons of two countries which expats are comparing. So you’ve decided that Latin America is your next move. With great weather, growing economies, and governments working toward making their quaint countries friendly to foreign money and secure for your real estate investment, Latin America is fast-becoming the hottest expatriation destination. 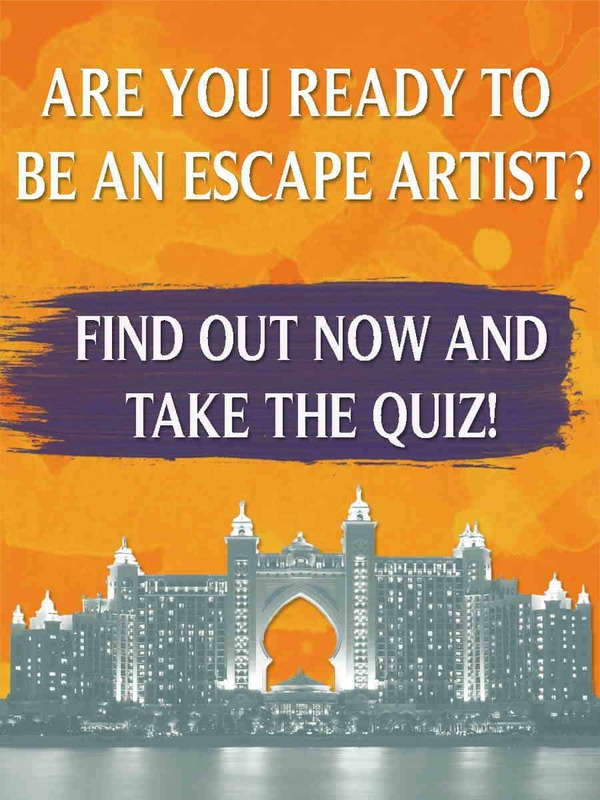 When considering which country is the best fit for your expatriation plans, there are almost innumerable factors. Cost of living, security, immigration requirements, the language barrier, real estate costs, and more are elements that need to be carefully weighed. Two countries that are topping the list of places to expatriate or retire are Mexico and Costa Rica. Let’s take a look at the two countries and compare what each has to offer. This small country of just under 5 million people is considered the jewel of Central America. Starting with the abolishment of a standing army in 1948, Costa Ricans have made education, social services, and development the mainstay of their social philosophy. 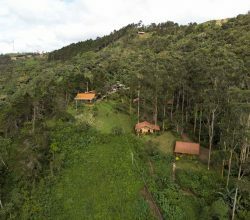 Statistically being ranked the “happiest country on earth”, Costa Ricans live a peaceful and nearly conflict-free lifestyle embodied in the local phrase “Pura Vida!” meaning Pure Life! With a literacy rate of 96.1%, universal health care, and a growing middle class, Costa Rica is the regional leader in terms of how poor country can pull up its bootstraps and become globally competitive and attract significant foreign investment. The economy of Costa Rica heavily depends on tourism, agriculture, and electronics exports. Foreign direct investment in Costa Rica increased to a record $2.1 billion in 2011. These are all relevant statistics in how they influence the outlook for those considering expatriating or retiring in Costa Rica. A stable government, a peaceful and educated population, and steady economic growth can nurture a healthy environment for foreign residents. 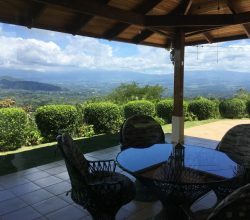 With the average income of a Costa Rican hovering around $12,000USD per year, and a strong consumer demand for imported goods, the country supports an infrastructure that lends itself well to expat needs. This means you can easily get many of the items you would expect from home, in large American-style supermarkets and shopping malls. Real estate in Costa Rica is reasonably priced and plentiful. 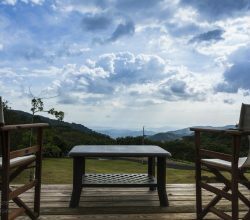 Whether you’re looking for a beachfront property in Jaco Beach, a little five acres in the coffee rich mountains of Heredia, or a resort-style development in the sunny province of Guanacaste, Costa Rica is chalk full of options. 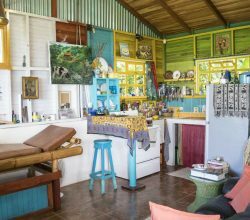 The past 25 years has seen a steady stream of expat and retirees buying up condos, properties, and homes all over Costa Rica. This has not adversely affected the housing market to price real estate out of reach. Quite the opposite in that real estate prices have risen steadily with the country’s low inflation rate. Immigration requirements in Costa Rica are well-established and relatively painless with the help of good legal counsel. 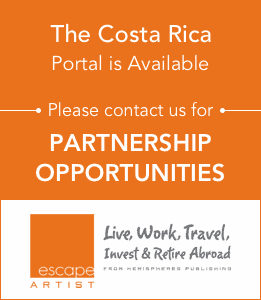 Upon entry to Costa Rica, North American and European visitors are granted up to 90 days on a tourist visa to explore the country and start any paperwork required for residency. There are various types or residency from Pensionado (retiree), Rentista (long-term renter), Permanente (permanent resident), or Inversionista (investor). All of which have clear guidelines including the amount of guaranteed income needed from long-term annuities, savings, or pensions. 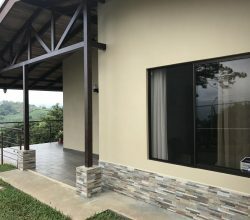 Simply purchasing property at a specified minimum value is not adequate to qualify for long-term residency status in Costa Rica. Officially the United Mexican States, Mexico is an enormous country spanning 4 time zones. It is the third largest country in Latin America behind Brazil and Argentina. With a population of 106 million people spread over nearly 2 million square kilometers, Mexico is a behemoth nation with regions as varied as the United States. The average person earns less than $8,000 USD per year. Though the literacy rate is 92%, the average Mexican does not advance beyond the 6th grade. Mexico’s main industries are food and beverages, tobacco, chemicals, iron and steel, petroleum, mining and tourism. Their primary agricultural products are rice, beans, coffee, fruit and tomatoes. As an expat destination, the drug wars that have made headlines for the past decade are indeed worth considering. Though these cartels are battling in very specific regions, the reputation that Mexico is extremely dangerous affects all areas. This, in combination with a deep recession and swine flu epidemic, hit Mexico’s real estate and tourism industry hard. Depending on your perspective, this can actually be of great benefit to those looking to purchase real estate and expatriate to Mexico. Real estate prices have plummeted and home sales nationwide dropped nearly 70% in the past 5 years. This translates to bargains when looking to invest in a home or condo in the popular regions of Cabo or La Paz. Some reports that prices have dropped nearly 40% in many cases means that you can pick up a 3-bedroom oceanfront condo in the southern Baja for less than $300,000USD. As with any country in Latin America, the cost of living depends on what you require to be comfortable. Any processed or imported food is relatively expensive in any Latin American country. Fresh fruit, vegetables, dairy and meats are affordable to both expats and locals alike. Automobiles, air conditioning, appliances, and many of the creature comforts come at a cost as they are often imported and subject to significant taxes and tariffs. Many moving to Mexico choose to bring as many of these items with them initially, or tend to purchase homes that are fully furnished and are ready to move in – thus saving the time and expense of having to shop for these basic necessities. Eating in restaurants and taking in some activities in Mexico are fairly cheap ventures. The prices in local eateries need to be affordable, in most cases, to the locals. That means that a plate of food and a cold drink can be picked up for less than $2. Mexico grants you a 6 month tourist visa. This is often adequate for those looking to expatriate. Many expats tend to travel back home or to neighboring countries often enough to keep this visa renewed. However, those looking for a longer term stay can apply for an FM-3 long-term visa valid for one year. You can renew the visa from within Mexico every year and have the option at that point to simply renew, or upgrade to an FM-2. Unlike the FM-3, the FM-2 gives holders a permanent residency that still needs to be renewed yearly. Mexico does not offer some of the incentives that Panama or Ecuador does, but you can get a discount on a range of services and products with certain types of residency. The main benefit of having a residency is that you can join the socialized health care (IMSS). The highest rate is around $300 per year and there are IMSS facilities throughout Mexico. In many cases, you need to prove a guaranteed income of at least $1000 per month to demonstrate that you are able to financially sustain yourself in Mexico without having to take on a job. As with Costa Rica, these protections are often in place to ensure that foreigners do not move to developing or poorer nations and take jobs from the citizens of that country. Mexico is a great country, but not without its major issues. Between drug cartels, rising crime rates, and growing unemployment, it is becoming less of an attractive expat destination. Though thousands of U.S. citizens do call this country home now, Mexico may not be the ideal choice for you. Costa Rica, on the other hand, has enjoyed a stable government with a thriving and healthy democratic process. The security concerns do not come close to those faced in many areas of Mexico. Real estate has remained stable (even through the 2008 housing crisis) and the options to buy are as plentiful, if not more than, Mexico. Costa Rica would be the clear winner in many categories and is why tens of thousands of expats are making Costa Rica their ultimate expatriation destination.